Adobe ColdFusion 10 and Adobe ColdFusion Builder 2.0.1 - Available Now! Exciting news: Adobe ColdFusion 10 was released earlier today (sorry for the delay in posting: busy day!). 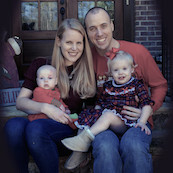 Check it out at http://www.adobe.com/products/coldfusion-family.html. ColdFusion 10 (previously known by its codename, Zeus) has various exciting features such as HTML5 websockets, HTML5 charting, security enhancements, Tomcat integration, improved Web Services support through Axis 2, and more. Thanks to the ColdFusion Engineering Team for building a great ColdFusion 10! 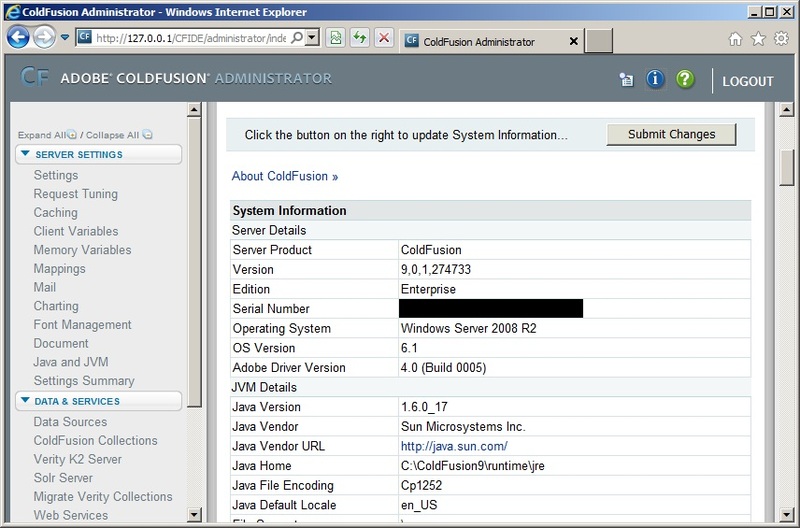 Also released today was ColdFusion Builder 2, Update 1 (brings ColdFusion Builder 2 up to ColdFusion Builder 2.0.1). 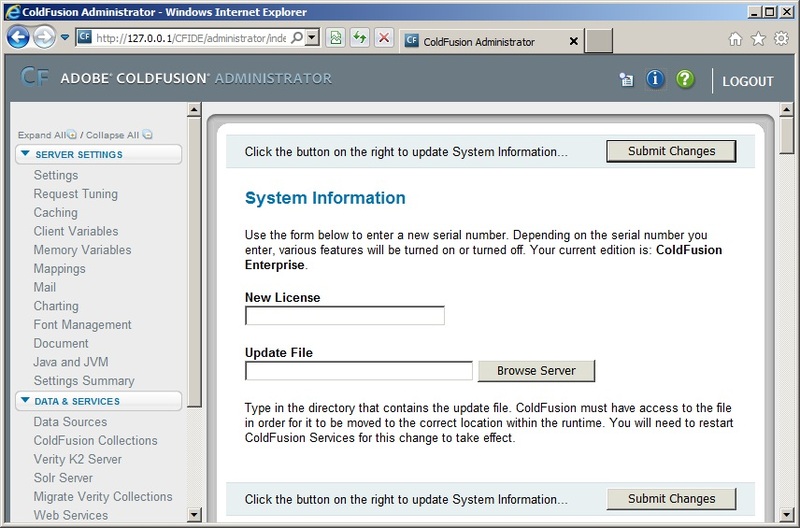 This is a free update for ColdFusion Builder 2. Get it at http://www.adobe.com/support/coldfusion/downloads_updates.html#cfb2. And check out the official ColdFusion Product Team blog at http://blogs.coldfusion.com for posts from the engineers who built the features of ColdFusion 10 as well as announcements about eSeminars and other events where you can learn more about ColdFusion 10. We are conducting a survey to understand the the IDE that you use to build your Adobe ColdFusion applications. Your feedback is valuable for us. It will take less than a minute to answer this simple two question survey. Would you be so kind as to provide your feedback? You can find the survey at http://svy.mk/yEvFtH. Adobe ColdFusion 10 beta and Adobe ColdFusion Builder 2.0.1 beta - Available Now! The beta releases of Adobe ColdFusion 10 and Adobe ColdFusion Builder 2.0.1 are now available on Adobe Labs at http://labs.adobe.com/technologies/coldfusion10. Check them out and give us your feedback! ColdFusion 10 (previously known by its codename, Zeus) has various exciting features such as HTML5 websockets, HTML5 charting, security enhancements, Tomcat integration, improved Web Services support through Axis 2, and more. Thanks to the ColdFusion Engineering Team for building a great ColdFusion 10. And check out the official ColdFusion Product Team blog at http://blog.coldfusion.com for posts from the engineers who built the features of ColdFusion 10 as well as announcements about eSeminars and other events where you can learn more about ColdFusion 10. This is great stuff! Thanks for making this great offer available to ColdFusion customers, Intergral! Following on the heels of the slew of Adobe announcements of last week, Adobe evangelist Terry Ryan released a blog post stating that ColdFusion Zeus is still under development and on schedule. We're still here--same leadership, engineers, and sales team as before last week--and we're still selling ColdFusion 9 and working hard on the next version of ColdFusion, codenamed ColdFusion Zeus. If you're interested in more on ColdFusion Zeus, your best bet at this point is to search "ColdFusion Zeus" but know that we'll be releasing more official information as the release draws closer (the official information we are able to disclose at this point is that we will be releasing Zeus sometime in 2012). If you have any questions or need licenses for ColdFusion 9, please feel free to post a comment here or to contact me directly. One of the exciting new features in ColdFusion 9 is Apache Lucene Solr integration. Solr is an open source enterprise search server that you can use in place of Verity in ColdFusion 9 with few limitations? Want to learn more? I'm excited to announce that Adobe's own Ray Camden will be presenting an Adobe eSeminar on this top on Thursday, September 8, 2011 @ 10:00 AM PT (1700 GMT). For more details and to register, please visit http://www.adobe.com/cfusion/event/index.cfm?event=detail&id=1864016. If you'd like to read about ColdFusion 9's Solr integration, please visit http://help.adobe.com/en_US/ColdFusion/9.0/Developing/WS2B335964-A0DA-4add-B9FE-4041464EC9E1.html. The Adobe ColdFusion team has set up a 2-part eSeminar series that I will be presenting to help those new to ColdFusion get started. The first of these sessions is geared towards those who have never done any development but who are familiar with the basics of HTML. The second session builds on the first and is the perfect time for those who have done previous development but are new to ColdFusion to jump in. The sessions have been scheduled for a week apart so that attendees at the first session have a little time to practice their skills on their own after the first session in preparation for the second session. Join us! ColdFusion Builder 2 includes a license for Flash Builder 4.5 Standard. Flash Builder 4.5 Premium includes a license for ColdFusion Builder 2. While Creative Suite 5.5 Web Premium and Creative Suite 5.5 Master Collection both include a license for Flash Builder 4.5 Premium, neither includes a license for ColdFusion Builder 2. However, if you purchase Creative Suite 5.5 Web Premium or Creative Suite 5.5 Master Collection, you can purchase an upgrade license for ColdFusion Builder 2 (that is, you're eligible for upgrade pricing for ColdFusion Builder 2; you don't have to buy the full version of ColdFusion Builder 2). Flash Builder 4.5 Standard does not include a license for ColdFusion Builder 2 and as well as I am aware upgrade pricing is not available for ColdFusion Builder 2 (that is, you are not eligible for upgrade pricing for ColdFusion Builder 2; you do have to buy the full version of ColdFusion Builder 2). Speaking of upgrade pricing, there is (of course!) upgrade pricing available for those looking to move to ColdFusion Builder 2 from ColdFusion Builder 1 (at the time it was released, it wasn't called ColdFusion Builder 1, it was merely called ColdFusion Builder, but now that ColdFusion Builder 2 has been released, we often refer to the first release of ColdFusion Builder as ColdFusion Builder 1). And there is also upgrade pricing available for those looking to move to Flash Builder 4.5 or one of the Creative Suite 5.5 bundles from earlier versions of those products. * Note that while you cannot purchase an upgrade license for ColdFusion Builder 2 from Flash Builder 4.5 Standard, you will get ColdFusion Builder 2 if you upgrade Flash Builder 4.5 Standard to Flash Builder 4.5 Premium. 2011-06-06 UPDATE: There is no mention made of the type of license (that is, full or upgrade) required when buying Flash Builder 4.5 Premium or ColdFusion Builder 2 in order to get the "mini-bundle" benefit because that benefit applies to both the full and upgrade versions of Flash Builder 4.5 and ColdFusion Builder 2. That is to say, if you're upgrading to Flash Builder 4.5 Premium, you do in that case get a license for ColdFusion Builder 2 just as you do if you buy the full version of Flash Builder 4.5 Premium; if you're upgrading to ColdFusion Builder 2, you do in that case get a license for Flash Builder 4.5 Standard (I suppose the one exception to this may be if you're upgrading from Creative Suite 5.5 Master Collection or Creative Suite 5.5 Web Premium, since these already include Flash Builder 4.5 Premium), just as you do if you buy the full version of ColdFusion Builder 2. Although this post is written for ColdFusion 9, the majority of information in this post applies to most releases of ColdFusion. When you install ColdFusion 9, you can (but are not required to) enter your serial number (sometimes also referred to as a license key) during the installation (there's one caveat to this: there's a known issue with the 64-bit Linux installers not accepting ColdFusion 9 Standard serial numbers; see the related post listed below for more information). I'm not going to cover that in this post because there's no need: you just put your serial number in when prompted. What I'm going to cover here is entering a serial number into the ColdFusion 9 Administrator; you might need to do this for reasons including, but not limited to, not entering it during installation of ColdFusion 9. ColdFusion Builder 2 Is Now Available! 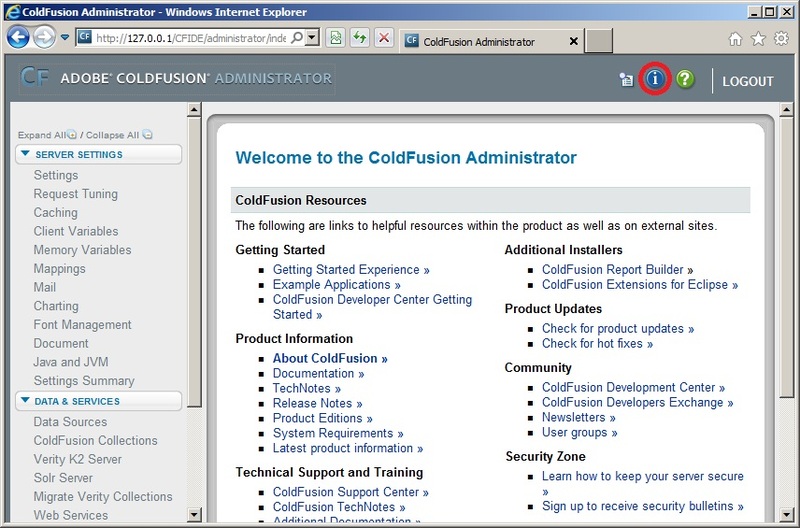 Two months after the beta hit Adobe Labs, ColdFusion Builder 2 is now available! You can find information and links to learn lots more about it, to try it, and to buy it at http://www.adobe.com/products/coldfusion-builder.html. 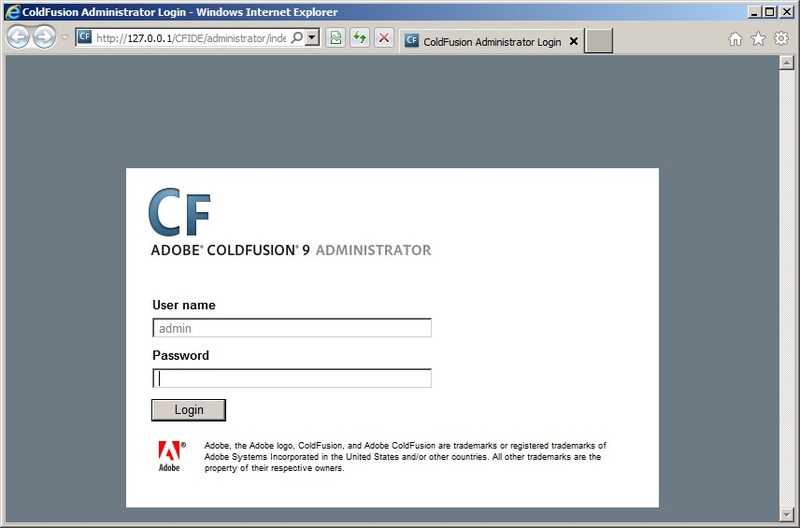 And be sure to check out the ColdFusion Builder team's blog at http://blogs.adobe.com/cfbuilder. ColdFusion Builder 2 now comes in a free edition called ColdFusion Builder 2 Express! I'm not seeing much in the way of details ColdFusion Builder 2 Express listed on the Adobe site but Ray Camden's blog post about it and Ben Forta's blog post about it are good places to get a bit of information. 2012-01-08: given the age and content of this post, it is difficult at this point to conceive of a legitimate comment that could be posted. Yet comments continue to be posted: spam. So it seems wise to me then to stop the insanity by closing comments to this post. Should you have a legitimate comment you wish to post here, please contact me via the contact form here on my blog. Thanks! The public beta for ColdFusion Builder 2 is now available on Adobe Labs! Check it out at http://labs.adobe.com/technologies/coldfusionbuilder2!